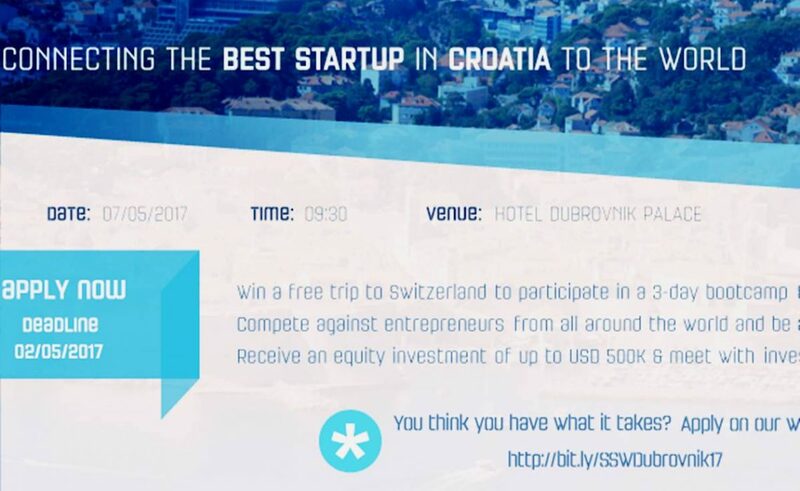 Seedstars World is Coming to Dubrovnik to Find the Best Startup in Croatia! On May 7h, 10 of Croatia’s best seed stage startups will compete to represent the country at the Seedstars Summit and win up to USD 1 million in equity investment. Seedstars World, the global seed-stage startup competition for emerging markets and fast-growing startup scenes is coming to Croatia for the 1st time. Together with of international technological conference Techne Summit, Seedstars World will be holding a dynamic pitch event in Dubrovnik where 10 selected croatian seed stage startups will compete to represent the country at the Regional and Global Summits of Seedstars World. The line up of jury members, speakers and mentors of the Seedstars Dubrovnik competition will include Dražen Nikolić – Co-Director of Founder Institute, Zagreb chapter, Kristijan Ravnić – Project coordinator for Startup Factory Zagreb, Fadi Bishara – Founder & CEO of Blackbox, Erik Katz — Managing Director of Hardware Hackers/Founders, Katarina Szulenyiova, CEO at Seedstars World. In line with its mission to place the spotlight on entrepreneurs from emerging markets, Seedstars World is travelling to more than 65 countries this year to identify the best seed-stage entrepreneurs and provide them with an opportunity to win up to USD 1 million and network with investors and mentors from around the world. Its previous participants have raised over USD 61M collectively, providing employment to more than 800 employees worldwide. The companies selected to pitch at the Seedstars Dubrovnik event need to be less than 2 years old, have raised less than USD 500,000 in funding and have built a minimum viable product, ideally with existing traction. The Seedstars World team is searching for one additional criterion – the startup’s regional and global scalability. With a strong network of international partners such as BBVA, Merck, Enel, Trecc, Standard Bank and Deloitte, Seedstars World is looking for smart startups that solve regional issues and develop profitable products for the global market, to support their regional businesses and growth. Up to 10 of the best seed stage startups in Croatia will be invited to pitch for the opportunity to compete at the Seedstars Summit, that annually takes place in Switzerland.